Tourism has become a popular activity not only in Jammu and Kashmir but across the country. Jammu and Kashmir state offers vast tourism potential in its all regions viz. Jammu Province, valley of Kashmir and Ladakh region. It is because Jammu and Kashmir has been gifted with a number of religious tourist spots and picturesque places, wildlife, wetlands ecosystems, lush green meadows and thick coniferous and deciduous forests. Snow capped Pir Panjal Mountains, valleys and rivers, Siwalik Hills coupled with springs and lakes have immense potential to entice tourists. 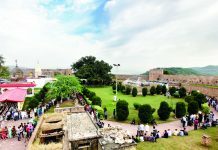 The Jammu region endowed with natural beauty, is dotted with a number of historical monuments like Mubarak Mandi complex, Bagh-e-Bahu, Bahu Fort and Mohamaya Rakh, Gurudwaras, Darghas and a number of temples. 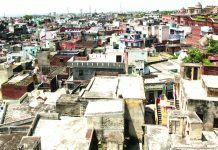 Raghunath temple, Pirkho temple, Ranbireshwar temple, Panchvaklar and Panjtirthi temple, Mohamaya temple, Gurudwaras at Jain bazar and Raghunath bazars, Darghas at Pir Mitha, Mastgarh, Ustad Mohala Talab Khatikan and Gumat are the main religious places in and around the Jammu city which have the potential for the development of pilgrimage tourism. Jammu region is also characterised by having historic forts and other such places of Ramnagar, Reasi and Udhampur. There are couple of famous religious sites enroute to Katra and Reasi. First comes the famous Agar Jitto which is at a distance of 6 km from Katra. It is cool scenic spot located amidst beautiful hillock with a number of perennial springs lending a cool and refreshing ambience to the place. A huge statue of Babba Jitto besides that of his daughter Bua Gouri dominates. 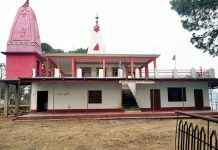 Jammu region has bountiful places of Gods and Deities confined to hilly and mountainous region such as Mata Sukrala Devi of Billawar in district Kathua. Mata Sukrala Devi is also called a female Deity of foregiveness. Lakhs of people throng around this sacred shrine to pay obeisance and to obtain blessings. Apart from this, Jammu region has a vast variety of tourist attraction to offer and holds potential for developing various tourist spots and places for pilgrimage tourism offering substantial heritage, leisure and adventure tourism to tourists of wide ranging interest. Just in a well organised trip one can be exposed to grand edifices of Hinduism, Islam, Buddhism, Sikhism and Christianity. At the same time he can see our stunning natural possessions. 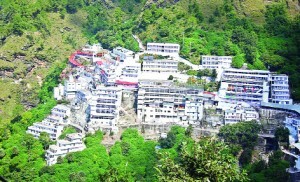 One such better site for making pilgrimage a big success, Vaishno Devi temple. This temple is situated at the Trikuta Hills which constitute an overwhelming majority of tourists who turn up in the state. The Mata Vaishno Deviji is now world famous pilgrimage. A recent study was conducted with regard to the pilgrim tourism economics of Katra- gateway of Vaishnodevi pilgrimage in Kashmir. 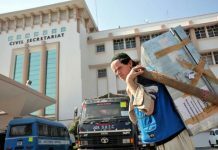 It was found that the pilgrims were injecting annually as much as 475 crores into its economy, with a total of nearly 28,000 employees in various sectors. Such sectors mainly consist of commercial establishments, hospitality, transport sector / priests and ponywallahs. 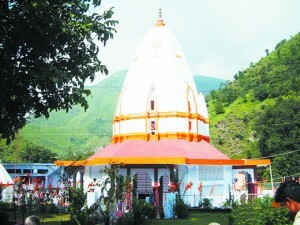 Other pilgrimage centres in the Jammu region are Shahdra-Sharief, Buddha Amarnath and Nangali Sahib in Rajouri and Poonch. 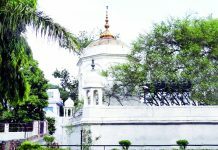 The shrine of Shahdra-Sharief in Rajouri district, about 177 km from Jammu, is one of the most popular Muslim shrines of Jammu region, visited by thousands of devotees everyday irrespective of caste , colour and creed in deep faith. Budha Amarnath temple is situated about 25 km north east of Poonch on the left bank of Pulsta stream.This place has a great religious importance as this temple is considered older than Swami Amarnath of Kashmir. Legend goes that Lord Shiva had visited this place. Thousands of pilgrims come to this place with great devotion from various parts of the country particularly during Sawan or Shravan Poornima. Nangali Sahib Gurudwara is situated on the left bank of Drungli Nallah which is 4 km away from Poonch city. This Gurudwara was established by Sant Bhai Mela Singhji. Maharaja Ranjit Singh had paid a visit to this shrine during 1819 AD, when he was on his way to conquer Kashmir. This place is of great religious importance and thousands of pilgrims of all religions throughout the country pay a visit to this place every year. There is a tremendous scope of religious tourism in Doda and Kishtwar districts of Jammu region. Kailash Kund in Bhadarwah at an altitude of 4320 m is one of the leading pilgrimages just like Sri Amarnath confined to the mountains of Pahalgam in Vale of Kashmir. Kailash Kund is infact a lake shrine of Bhadarwah. About 20 km south west of Bhadarwah is the mountain of Kailash. This mountain too is the abode of Lord Shiva but it is different from the world famous mountain of the same name which arises almost vertically from the holy lake of Mansarovar in Tibet. This is sacred lake on this mountain and is known as the lake of Kailashpati Shivji Maharaj. It is said that Lord Shiva along with his family also visited this spot. Seven stream flow out of this place. 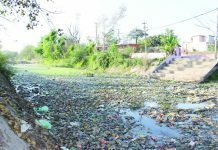 The river Tawi, the Basantar and Ugh are some of the examples in this respect. It is the biggest pilgrimage of northern India as has been stated by Lord Shiva to Mata Parvati in Vasuki Puran. Jamia Masjid and Ziarat Shah- Farid-Ud-Din,are the other holy places in Kishtwar. 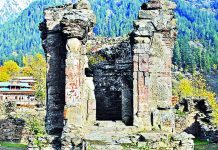 The former, is the oldest mosque in the Kishtwar district which was constructed before 1650 AD. The Jamia Masjid, in fact, is the largest mosque in Jammu Province. The latter is situated in the heart of Kishtwar town during the region of Raja Jai Singh to propagate Islam.Shah-Farid ud-Din hailed from Bhagdad. Paddar, in district of Kishtwar has much of its own to offer pilgrimage. 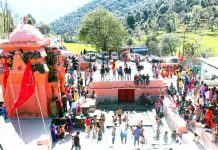 A well known sacred and holy shrine of Mata Chandi located at an altitude of 2850 m is present at village Machail. The holy journey of Machail shrine is about 320 km from Jammu city. The foot journey of 31 km from Atholi to Machail is a treasure of nature’s glimpses, attractions, enroute temples, caves, bubbling streams, springs, greenery and at some places sharp bare mountain peaks. 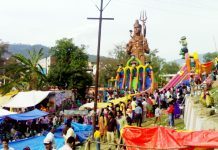 The most famous amongst the religious and historical places and monuments in Udhampur city- the second largest city of Jammu region are the Babore temples, Krimchi temple complex, Devtaa Mandir in Pancheri, shines of Chountra Devi and Pingla Devi as well as the river Devika. Owing to the presence of Devika river Udhampur city is known as Devika Nagri. In the Nilmata Puran which was written during 7th century by Nela Muniji, mentioned that Devika river is a manifestation of the mother Goddess Parvati herself to remove the sins of the people of Mader Desh that covers areas between the river Ravi and the Chenab. Sudh Maha Dev- Mantalai is a holy spot in Chenani near Patnitop which stands erected at an altitude of 1225 m. This shrine has not only been visited by a large number of pilgrims on the full moon night during May – June but is also attracted by many tourists.Thial a very small village situated about 50 km from Udhampur on the Dhar road, where an old temple of Lord Jagannath Puri is the main centre of pilgrimage. This village is well connected with Mansar lake temples. Shiv Khori cave is a majestic shrine of Lord Shiva and is a place of pilgrims attraction which enjoys high order of esteem among all sections of people. 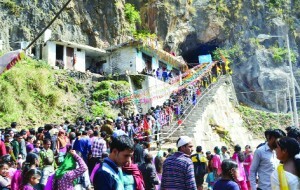 In view, the everlasting religious significance and sanctity the majestic and ancient Shiv Khori shrine cave in district Reasi is now witnessing great rush of pilgrims. To reach Shiv Khori shrine, all type of vehicles are available either from Jammu or Katra. 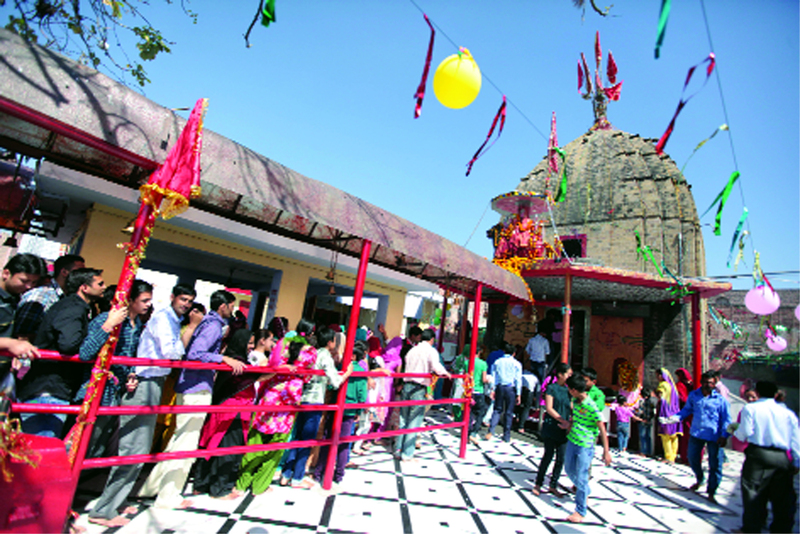 While visiting the religious wealth in the form of numerous shrines and places of worship at Mahabilvakashawar temple in Billawar, Mahadev temple at Basohli, Shiva temple at Airwan, Ziarat of Pir Fazalshah at Kathua, Pir Chhatarshah near Parole, a temple of Mata at Bala Sundrikot, the pilgrims after performing worship, they can visit water tourism in Ranjeet Sagar Lake. This lake is amidst Siwalik hills in Basholi. It is one of the largest fresh water lakes of the country which was formed as a result of ponding of the Thein Dam at the river Ravi. It begins from the village Thein and culminates near Khajura village of Basholi. 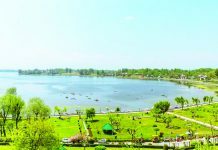 It is point to mention that being located at central place touching Jammu region at Basholi, Pathankot of Punjab and Dalhousi of Himachal Pradesh, the Ranjeet Sagar Lake can add one more feather in the cap of water tourism vis-a-vis religious tourism.